Back in the good ol’ days, school kids studied history and civics where they learned how and why America came to be. And they came away from that with an understanding of the wisdom the Founders applied in creating this country. They learned that the first governing document was not adequate to accomplish the desired goals. 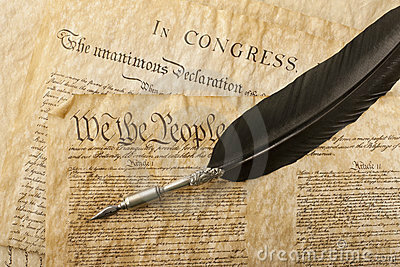 The Articles of Confederation reflected the Founders’ profound and well-grounded fear of a too-strong national government, gave too much independence and control to the states, and had other problems that failed to provide a solid foundation for a cohesive nation. Their solution to that misstep was to develop a new governing document that gave enough power to the federal government to hold the union together, but left the states with a significant degree of control and autonomy. The Founders created a unique and enlightened form of government that prevented a small minority of self-serving people from controlling the masses, and also prevented a majority of citizens from imposing its will on the minority. In creating the US Constitution to replace the Articles the Founders considered having Congress select the president, but the president would then be beholden to the Congress, confounding the idea of three co-equal branches of government. They also considered state legislatures or governors selecting the chief executive, but those ideas, too, were rejected. And they rejected electing the president through a purely popular vote, because they wanted to balance the power of the larger and smaller states. The deliberations on how best to select the president ultimately resulted in the creation of the Electoral College. But now there is an effort afoot to do away with this beneficial safeguard of the US Constitution that the Founders meticulously developed to best serve the citizens of their country. Changing the Constitution requires amending the Constitution, and that requires the consent of two-thirds of Congress and three-fourths of the states; very difficult and unlikely to be accomplished any time soon. The National Popular Vote (NPV) plan claims its purpose is “to ensure that every vote for president is equally valued no matter where it is cast.” However, it seeks to make this change without a Constitutional amendment. The Founders realized there might be legitimate reasons to change the Constitution, but also understood that such changes must have broad support among the citizenry and it therefore should not be too easily done. The system for amending the Constitution is demanding, as it should be. Rather than approach this important change the proper way, by putting it before the people and the Congress through the amendment process, NPV advocates decided to take a short cut and simply subvert the Constitution through a back-door agreement. The mission statement of the NPV initiative should therefore read: “Things aren’t working out to suit us, so we need to change the rules.” Its campaign seeks to obtain the consent of the majority of the 538 votes in the Electoral College to award electoral votes to the winner of the national popular vote instead of the winner of the popular vote in each state, a system in which the inmates run the asylum. The president will be chosen not by the electors voting as the voters of their state determine they should vote, but under the terms of an agreement among themselves. This effort to buy control of presidential elections must be the work of the evil Koch brothers, or the TEA Party, right? Nope. It is uber leftist Hungarian-American multi-billionaire George Soros pulling the strings. Ten states have already signed up for this subversion: New York, Hawaii, Illinois, Maryland, Massachusetts, New Jersey, Washington, Vermont, California and Rhode Island. The District of Columbia also has joined the scheme. ** Recounts would be both more prevalent and more problematic. ** It could destabilize America’s two-party system, leading to a higher incidence of close elections and recounts. ** Provisional ballots could also lead to an extensive, widespread, and complex battle that could further delay and confuse the results of a presidential election. ** The plan would encourage vote fraud. The NPV is yet another liberal idea that upon analysis turns out to be a lousy idea. Is it also criminal?